ASP.NET has been always near and dear to me and it got more exciting for me as ASP.NET5 got revolutionary changes comparing to previous versions. All the changes has been done considering key points that are driving the software evolution like Agility, embracing latest design standards and technologies. It provides more capabilities, more power to developer, follows latest standards and helps in writing Cloud and mobile ready applications. As we know ASP.NET is like a umbrella of technologies and consists of ASP.NET MVC, ASP.NET WebForms, ASP.NET web api etc. All these technologies got lots of change and design to serves the modern web apps. ASP.NET5 comes with another new version of ASP.NET MVC6. I will be writing couple of posts on cool features of ASP.NET 5 that actually makes our life easy as a developer. In above example, top three html helpers : for label, textbox and link are loosely typed view and last sectionis part of a strongly typed view . 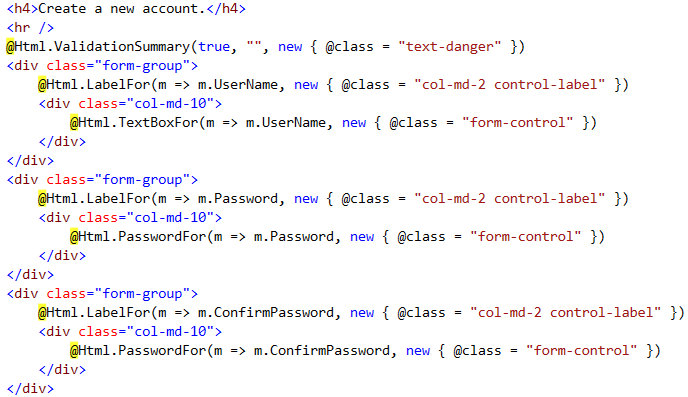 As earlier mentioned, we can see that it is combination of HTML and inline C# which we start with @. While rendering these html helpers methods gets called which returns the html that is rendered in browser. ASP.NET 5 introduced new features named as TagHelpers. 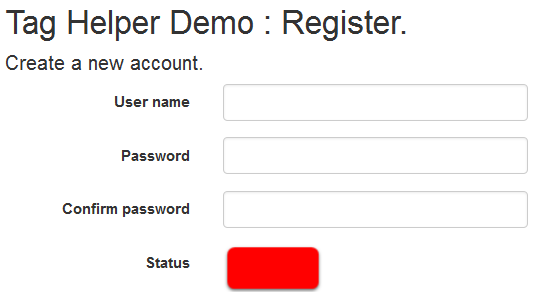 This is going to make developers life very easy and make the form, readable, maintainable and manageable. As we all know that in ASP.NET 5, the features were developed as independent components and can be added on demand via nuget. So we need to add it via nuget. It will work same as HTML helper. Under the hood the tag helper convert it to similar earlier lambda expression to get the property name. It’s not just yet. It also gives us power of creating our own tag helpers which we can create based on our need and render the appropriate html at runtime. 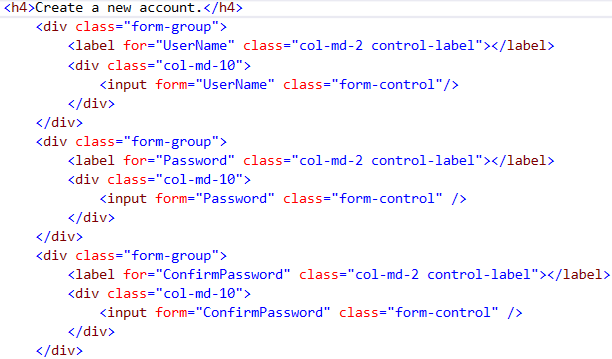 Now if we see the C# code then you can find that attribute val is read from the context object and the details of the HTML tags are provided with the output object. One other item, you must be seeing the ContentBehavior attribute, what is the need? It plays a vital role in the tag helper. It tells that the way tag helper would render. Like here, I have used Replace, which means the tag used in cshtml will be replaced. There are four other options – None, Prepend, Append, Modify. It behaves as the name suggests, I will leave this for you guys to explore. Here the val is assigned to 1 and based on that image is rendered. This is a simple example that I showed here to explain the Tag Helper. Creating taghelper is very simple and very flexible. Hope you have enjoyed the post. Wait for more articles on ASP.NET 5. This entry was posted in ASP.NET, ASP.NET 5 and tagged ASP.NET5, TagHelpers. Bookmark the permalink.